The Starter League teaches beginner students to code, design, and ship web apps in Chicago, IL. Their program Starter School is a nine-month, in-person grad school for people who want to learn how to build software and start companies. The school focuses on a small class of highly motivated people, hands-on labs, deep-dive workshops, and focused product development. You'll apply what you're learning to your own ideas at every step. From day one, Starter School will help you build a solid foundation in web development, design, and entrepreneurship. You'll apply what you learn towards the goal of shipping your real product. You will learn everything you need to build the back-end, design the front-end, and bring your product to market. Its about more than learning to code. Starter School believes you can take your mind, your passions, your ideas, and use them to build your own solutions to the problems you see around you. 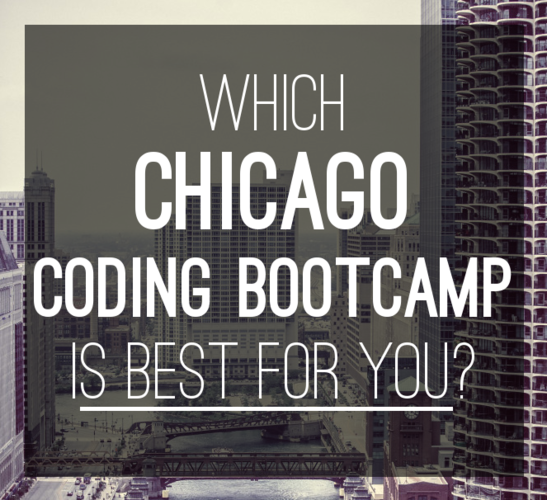 Which Chicago Coding Bootcamp Is Best for You? You don’t need prior coding experience to take Beginner HTML & CSS. We actually expect it! HTML and CSS are a great place to start because they're the two dominant languages of the web and the skeleton of all websites. If you're proficient with HTML and CSS, then you'll understand how other sites are made and you'll be able to build sites of your own. In 11 weeks, you’ll be able to take a design and translate it into HTML and CSS for the web. You'll learn how to customize your site with fonts, images, audio, video and get it online. Fullstack Academy has partnerships with Pave and Upstart. $2,000 student scholarship $1,000 scholarship for women. Summer of Code is a coding education program uniquely designed for ambitious college students seeking to supplement their traditional education by learning real world skills and building a portfolio of impressive projects. You bring the energy, curiosity and fierce dedication — we'll provide a world-class school for becoming an expert level coder in one summer. You may design a site that's beautiful to look at or develop a site that uses the latest technology – but if it doesn’t meet a real user need, it’ll be irrelevant. User experience design is about making all the elements come together so you can create something meaningful, useful, and pleasurable for the people you're trying to reach. This class will give you the skills to research, test, and validate your ideas. Financing is available for this class with Climb Credit. Skills Fund, Upstart and Pave offer similar options. I would whole-heartedly recommend the Starter League to anyone looking to really understand web development. I began looking into the HTML/CSS course after working for a year in digital design and growing tired of developers telling me things couldn't be done. I wanted to understand how my designs were being built and styled so I could better communicate with the dev team and ultimately become a better designer. I tinkered with learning these languages for years but online courses felt choppy and never seemed to bring all the pieces together. The Starter League's classroom setting helped me finally make sense of everything. The curriculum not only covers how to write code, but starts with the basics so you really understand the semantics of what your writing. My instructor answered student questions thoroughly and supported his answers with real-world examples. He even offered one-on-one instruction outside of class for those who needed it. When all was said and done I was able to build a clean, fully functional hand-coded website while understanding each line of code I wrote. The curriculum is mostly self taught with material that is readily available. Questions often go unanswered, where they even make you feel bad for asking them. The staff are not working developers and have no previous development experience. They possess very limited working knowledge. Absolutely no job assistance is available, no network, introductions, nothing. Do not recommend this as a path if you want to be a working developer unless you want it to be a very long and difficult endeavor. It is already hard enough to get a developer job, you don't need unhelpful people that you paid a lot of money. After graduating high school in 2011, I attended UC Santa Cruz where I began to study Computer Science. I embraced being free from the educational trappings of high school. I was obligated to study subjects that I wasn't passionate about. The only solace I could take was in the exposure I received to various subject areas. I hoped college would be an opportunity to get knowledge that was meaningful to me and applicable in the real world. After a Computer Networking and History of Computer Science class I was disheartened. I realized that it would be two to three years before I knew enough to start building things. So I dropped out. I found the Starter League through a friend and was inspired the second I walked in to 1871. I thought I was going to Starter School to learn how to code but I learned so much more. We began by diving head first into Ruby and Rails, database modeling, HTML & CSS, SQL and much more. But Starter School sets itself apart by injecting design and entrepreneurship into the program. The actual code is just the first step to building a successful product. These areas are equally important, if not more, and you'll learn from the best in the business. Learning from real world practitioners, I was able to launch a successful product in nine months. I've received many job offers and am currently deciding which path to take. There are a lot of schools out there that teach you to code, Starter School will teach you how to build a successful product. The point of Starter School is to give you a taste of the full spectrum of building a software product. Other bootcamps and software development schools do a great job of making you into a developer, but you don’t always see the bigger picture. Even if you do specialize in just one area, be it programming or design, it is so valuable to be able to speak the other person’s language, or even get your hands dirty with another area of the product. Starter School brings you the best people in their fields to teach, but the way each of them build products is very different. Over the course of nine months, I learned how to develop a lens through which I can look at conflicting advice objectively, and make a decision on what I think will best move my project forward. Not only was what I learned incredibly valuable for anyone looking to start a career in software, but learning them as a nineteen year old college dropout changed my life. I already got a job as a junior developer at a fast-growing startup in Chicago. I have no regrets about leaving college to go to Starter School. Since the first bootcamp acquisition in June 2014, we’ve seen several coding bootcamps get acquired by a range of companies from for-profit education companies (Capella Education), to co-working companies (WeWork), and other coding bootcamps (Thinkful + Bloc)! With rapid market growth in the bootcamp industry, for-profit education companies are taking note. These acquisitions and consolidations should come as no surprise, and some have been very successful, with schools going on to increase their number of campuses and course offerings. As coding bootcamps become more mature, we are seeing them get snapped up by more well-known companies, for increasingly large sums (e.g. General Assembly for $413 million!) We’ll keep this chronologically-ordered list updated as bootcamps announce future acquisitions. Neal Sales-Griffin and Mike McGee launched The Starter League in 2011, and the “coding bootcamp” as we know it was born. Five years later, The Starter League has become ingrained in Chicago’s tech ecosystem, and announced today that they’ll be fully acquired by New York-based Fullstack Academy! This marks the first expansion by Fullstack Academy outside of New York City, and the start of a really neat partnership. Neal and Fullstack Academy founders David Yang and Nimit Maru joined us to talk through what this acquisition means for brand, leadership, and 2016 plans. Plus, we dive into logistics for future applicants wondering about the admissions process, course offerings, and job placement services in Chicago and NYC. 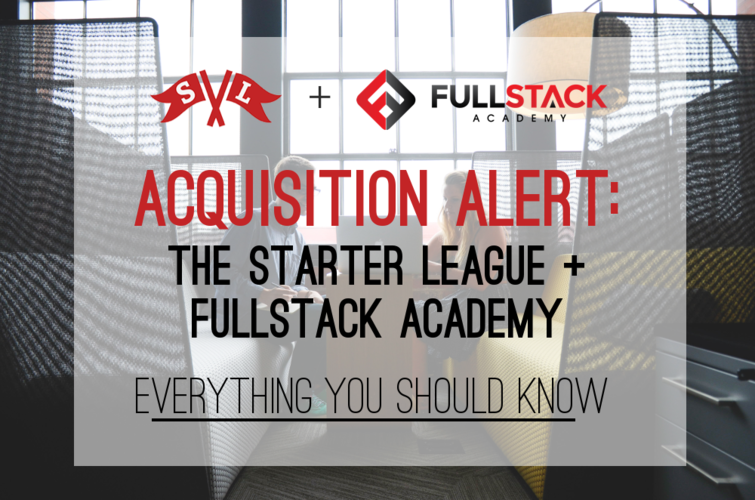 Fullstack Academy is acquiring The Starter League! Part of the acquisition is that we’re expanding into Chicago, and it also means that we get to work closely with Neal. First, let’s talk about Chicago. Why is Chicago an important market to expand to for a coding bootcamp? David: Nimit and I are Midwest guys- we met 15 years ago at the University of Illinois. Nimit: Chicago was my first love (New York is my second). When we decided to open Fullstack Academy, we actually considered Chicago, but we knew Neal was already there. About a year ago, I stopped by the 1871 space in Chicago, and I was blown away. It’s a joint collaboration between government, big companies, and coworking. Neal was actually involved in the early stages of 1871; The Starter League was the first tenant in 1871. That shows how much innovation The Starter League has been responsible for in the bootcamp space from the very beginning. David: So Chicago was always high on our personal list, but also when we look at the metrics, Chicago is a great city. There’s a need for talent, and while there are a number of great schools there, we look at a lot of metrics for expansion. We look at the number of seats offered by current code schools, we look at Course Report data, as well as the number of new startups, and VC funding trends. Post-Groupon, Chicago is blowing up in terms of VC funding. David and Nimit, why acquire a coding bootcamp instead of opening a new Fullstack Academy campus in Chicago? David: Serendipitously, Neal reached out to us when we were looking at our plans for 2016. That was like a celebrity sighting for us- we’ve known and followed Neal’s work for a long time. After talking, we decided that acquiring The Starter League and working with Neal would be the best way for us to do Chicago right. Nimit: We get to use his experience, the curriculum, courses, and software that they’ve built to expand into Chicago. David: Fullstack Academy is so deeply ingrained into the New York ecosystem. You can’t just expand into a new city, because every city is different. The ecosystem that The Starter League has built, in terms of employers and alumni, is huge. Our alumni is such a huge part of what makes Fullstack successful now, so we knew that would be integral to expanding into a new city. There’s so much to be said for how innovative Neal and Mike were in creating this space that we’re all part of now, so getting to work with them is particularly special. The Starter League was the first “bootcamp style” program in the US. Neal, how have you seen this industry change and grow over the last years? Five years ago, my cofounder Mike and I decided to start a school and a company to teach tech skills. On one hand, the blossoming and growth of this space has been so humbling and mindblowing. On the other hand, it’s been crazy to see the saturation of this market- and not in a negative way. With so much opportunity, it’s natural that there will be an expansion and contraction of this space and resources. There are so many layers and flavors of this industry- we see a focus on veterans, a focus on women, etc; one of the biggest draws to work with Fullstack Academy is Grace Hopper Academy. We have a beginner-focused program with an entrepreneurial bent; Fullstack Academy has an advanced, software engineer/CTO track. It feels like Tony Stark finally has the arc reactor in his Ironman suit and he can finally take off. The offering we’ll be able to provide by collaborating is going to create results that I don’t think the industry has seen yet. We’ve seen incredible growth in this industry over the past five years, but I think what Fullstack Academy is about to bring to the table, with our help, is really going to blow people’s socks off. Chicago is going to be more awesome because of it, but Fullstack Academy also has plans for worldwide expansion. I wanted The Starter League to be a part of that, and for our legacy to be joining forces with a school that I really believe in. It was very clear, very quickly that David and Nimit understood The Starter League in a way nobody else did. I was super aggressive about working with them because of that energy. Neal, what have you noticed about Employer trends since starting The Starter League? I think I have a different perspective than most. When I had this idea, most people slammed their doors. Software firms didn’t buy it. I had a theory that people could learn how to do software development without a strong background in it and that with a basic set of skills, they could be employable as a junior developer or apprentice. There was a notion of this traditional path that developers needed to take in order to be qualified to be in their world. I was challenging their world view, so I got a lot of opposition. Once we fought through that, it opened up the floodgates. It’s less important for me to claim credit for being the first bootcamp. We opened the floodgates to show all of these other schools that they could do it. And now, as an industry, we’re teaching tens of thousands of students how to make things with technology, work for great companies, live good lives, and get better careers. That’s magical. We’ve seen the acquisition of a few bootcamps over the past couple years (Hack Reactor acquiring MakerSquare & Mobile Makers or Kaplan acquiring Dev Bootcamp), and every acquisition story sounds different. How will The Starter League and Fullstack Academy’s relationship look? Neal: Fullstack Academy is doing a full acquisition of The Starter League and Starter School. The only thing that will remain is Lantern, which is our learning platform. Part of their plan is to expand their education offerings into different fields. We’re rolling in the curriculum, resources, and insights that we’ve gained into Fullstack Academy’s future planning. Classes will be available immediately. Nimit: Right now, we’ll keep The Starter League brand alive. The Starter League has built an incredible and beloved brand in Chicago and in the US. But right away, Fullstack Academy’s Software Engineering Immersive and Summer of Code courses will be offered in Chicago. We’re still actively working on a lot of details. The Starter League’s curriculum (for their web development program) is Ruby on Rails. Will that remain the focus or switch to MEAN Stack? Nimit: We’re definitely using parts of their immersive course, but in general, we’re bringing our Fullstack Academy MEAN Stack immersive course from New York to Chicago. David: The Starter League has always meant two things: first, they’ve been able to take students from across a spectrum of backgrounds with a passion for code. Second is their focus on entrepreneurship. We’ll incorporate both of those into our offerings in Chicago. Even though the brand will remain intact, how will leadership change at The Starter League? Neal: I’ll be helping out with Fullstack Academy to primarily facilitate a strong transition. I’ll be hands on, getting operations off the ground, and infusing Fullstack Academy with the energy that we’ve built over the last five years. Mike, my cofounder, is also helping, but in a different way. He’s also catching his breath after sprinting for five years. Fullstack Academy has a lot of plans to build up Chicago by hiring new people and bringing over New York staff. David: We are sending Fullstack Academy employees to Chicago, as well as hiring in the city. Zeke Nierenberg, one of our best instructors, will be in Chicago to set up the first class. Will The Starter League campus be in 1871? Neal: Although we were originally based in 1871, we grew out of the initial space. They have now grown significantly, so we’ll be moving back in! When will we see the impact of this acquisition? June 6th is the first cohort in Chicago, but the 4-week remote Foundations pre-work will start in May. Applications open on Wednesday, March 16th. For applicants who are considering joining either Fullstack Academy or The Starter League, is the culture at each school starkly different? Would a certain type of student perform better at one school over the other? The culture will be different at each school, because the cities are different. But what we won’t compromise on is admissions standards. We aren’t thinking about these schools as existing in two different tiers. If an applicant is accepted to Fullstack Academy, are they now also accepted to The Starter League and vice versa? David: Yes, they’ll be one and the same. Applicants apply to Grace Hopper Academy, The Starter League, and Fullstack Academy, and decide which is the best fit. We want to work with all students we believe in and can drive outcomes for. Neal: I also strongly believe that there’s a large part of The Starter League community that can now re-up. We have so many repeat alumni, and with this Fullstack Academy enhancement, they’ll take people to the next level. We’ve exposed so many beginners to UX, Front-End, BackEnd, etc, and with over 1500 alumni, a lot of those students may find Fullstack Academy tracks really attractive. I anticipate a lot of repeat students going even further as developers now. Will alumni have access to job placement services in both NY and Chicago? Nimit: Yes, absolutely. That’s a natural benefit from expanding to multiple cities. David: I’m always excited when Fullstack Academy graduates hire each other. I’ll be so excited to see a Fullstack Academy grad hire a Starter League alum, and vice versa. Neal: We’re at a place where there are businesses and entrepreneurs who are hiring coding bootcamp alumni from their schools; it’s an alumni connection, just like I went to Northwestern and have an affinity for Northwestern alumni. With this merger of brands, communities, and identities, it’s going to blow up that alumni network. This sounds like a solid plan, but what’s been the biggest lesson learned in merging two bootcamps? Neal: From my perspective, it’s obviously a challenge to get a deal done when we’re in different cities and both trying to build and grow our own businesses. The other challenge is getting certified to operate in new cities. Dealing with the licensure and operation processes was an important part of this acquisition, which any bootcamp founder will have to resolve when they expand. On top of that, the biggest lesson I’ve learned is making sure that values are aligned. You’ll find that the details are just the same as any other business deal, but making sure you have a culture and value fit is crucial; we can’t just hand off The Starter League in a hollow deal. This is a real partnership, so making sure that stays intact was a huge lesson, and I couldn’t be more excited to work with David and Nimit. This is not just another acquisition. The offering we’ll be able to provide through this partnership is unlike anything we’ve seen. David: Another lesson we learned was that a lot of coding bootcamps look similar from the outside, but internally, they’re very different machines. Every time we talk to another founder, it’s clear that there are different innovations happening within each school. Are you revealing the terms of the deal? Nope, we’re not disclosing specifics, but we’re all happy. I remember when Kaplan reached out to us (to be clear, there were initial calls but never a hard offer on the table), but I chose not to continue that conversation because we still had to figure out what The Starter League’s identity should become in Chicago. We stuck to our values and our mission, and now we get to partner with a team of people who truly get us. Any major changes to either school that we’re missing as part of this news? David: We’re just so excited to expand outside of NYC. We look at how other schools scale in this space, and we know we have to get it right. I don’t think there are bad players out there, but it’s easy to take a wrong turn, and we think this is a great move for us and for the industry. From an industry perspective, we’re in a stage of consolidation of strong players. That’s a good thing for this space, because it’s becoming clearer who the high quality players are. To learn more, check out reviews of both Fullstack Academy and Starter League on Course Report. Starter School is a full-time, 9-month program in Chicago, IL that teaches students everything they need to build the back-end, design the front-end, and bring their product to market. For a limited time, the Course Report community is eligible for a $500 scholarship to Starter School! Mike McGee and his co-founder Neal Sales-Griffin taught themselves to code in early 2011 and decided that the world needed a way to do the same. They launched Starter League, a 3-month "bootcamp" in Chicago and just started a 9-month program as well. With their rigorous curriculum and a leadership team stacked with talent like Jason Fried and David Heinemeier-Hansson, it's clear that Starter League will continue to be a major player in the bootcamp world. Remember, the Course Report community is eligible for a $500 scholarship to Starter League! Tell me about your story and how you created Starter League. Do you have a background in education? Before Neal and I created The Starter League (we were originally Code Academy), there was no coding bootcamp space at all. At that time- this was early 2011- we were the crazy ones who were “wasting our time” trying to code instead of hiring other people. I did not have the computer science, math, or science background. The only science background I had was in political science. And during that time, there were a lot of different things going on in the entrepreneurship scene. More people had ideas for startups but there wasn't many people who could make those ideas real. We decided that instead of just building our one web app idea, let’s try to build a school for people like us to learn. That was March of 2011, and there wasn’t any guidebook telling you how to build a 3-month beginner-focused boot camp. So we just had to learn through trial and error. Why did you change your name from Code Academy to Starter League? In April 2011, we named our school Code Academy (http://CodeAcademy.org). This was a few months before Codecademy (http://codecademy.com) came out in New York. Since we had @CodeAcademy on Twitter, there was a ton of confusion between the two companies. Even with this confusion, we were able to expand our offerings and help people learn how to code and design. Along with coding classes, we were teaching design and entrepreneurship, so the name Code Academy wasn't inclusive of all the subjects we were teaching at the time. We wanted a name that communicated all the things we were doing as well as what we wanted to do in the future. The concept of a "starter" resonated with us because that's what we were helping people do. We were helping them get started in programming, design, and entrepreneurship. We were giving them the confidence to start a new life. We had also developed an amazing community of alumni, mentors, and teachers, so the "league" concept appropriately fit. How have you grown since starting the Starter School? For the first 2 ½ years of our school we taught just 3-month classes- web development, visual design. And in the spring of last year we announced a new program called Starter School, which is a 9-month fulltime program geared on creating entrepreneurs. So Starter School is a program within The Starter League. The Starter League is the umbrella of everything that we do. We haven't grown in the sense of adding more classes, but we just moved into a new 12,000 square foot space on the west side of Chicago (http://www.starterleague.com/tar/posts/our-new-workspace). We now have an entire floor dedicated to Starter School. Can you explain the motivation behind the 9-month class and how it differs from the 3-month class? What kind of person is each class geared towards? When we started our 3-month classes, the main people we wanted to teach was beginners, people like us with hardly any experience, how to code. It didn’t matter if you were coming into the class trying to build an app or trying to get a new job or just wanting to learn more skills. Those classes were open to everybody because we started at the beginning and took you all the way to learning to build your own prototype. Over the past 2 years we’ve taught over 800 people and they fit into three different buckets. We have one-third who want to take our classes for a career switch opportunity. Another third is the entrepreneur type but they have an idea; they might even have some wireframes but they don’t know how to code or design so we help them build their products. And then the final third is kind of split between the two; they want to be an entrepreneur but they’re really far away from seeing how they can do that. They’d be interested in the job if that opportunity came up but they’d also be interested in building a product as well. With the 9-month Starter School we’re definitely more opinionated. Our focus is on people who want to be entrepreneurs. We’re not doing Starter School to explicitly get jobs. But we want people who have a burning desire to solve a problem, build a product and to start a company. That’s the focus. The 3-month classes are more like an entry level, zero to one kind of program that gets you started, to see what you want to do. It’s not as intensive as Starter School which is fulltime, 50 to 60-plus hours a week for 9 months. Why do you think that’s advantageous to your students that you’re located in 1871? Is there a lot of interaction and collaboration between the companies that are there and your students? We’ve been in 1871 for almost 2 years now; We have 2 classrooms there, we have some offices space so we run all of our classes, including Starter School, out of 1871. While we were coming up with the idea for the school in spring of 2011, the 1871 project was getting started in Chicago. The word was out that there was this group that wanted to build a digital startup space in downtown Chicago, so we got connected with them and they were like, “We’re trying to create this physical address for Chicago startups to really be this galvanizing force in the Chicago startup community and we’re trying to teach the next generation of developers, designers and entrepreneurs; you would be a fit. What is the acceptance rate with the two programs? Do you get a ton of applications? Our application pool is focused on quality over quantity, that’s one of our big values. We usually get a solid number of applicants for our 3-month programs. And since we’ve been doing that for the past 2 ½ years, we have a pretty good reputation in terms of our outcomes and what people get out of the program. For Starter School, this is our inaugural program so we didn’t receive a lot of applications because we only had a 2-month window to pull everything off. For the 2014-15 class, we are planning to do a full admissions cycle. So your first cohort of the 9-month program is about to graduate? Yes! We started at the end of September and it goes until June so we have three months to go! They know back & front-end web development, user experience, and now they will focus on building real products that solve problems they care about. What’s the average cohort size for Starter School? We have 18 students in our pilot program. Do you have a refund policy for both schools? Do you ever have students who just decide that it’s not for them? Usually, it’s something external like a family emergency or health or something that would cause someone to leave. 99% of people finish the programs. If someone can’t finish the program due to a personal issue or family issue or job issue or something then we refund them the remaining amount of the course- prorated. If they leave because the program is just not their learning style, will it still be a pro-rated refund policy? Once a student is accepted into the program, what kind of pre-work is required? How do you get students on the same level before they start learning together? It varies based on our programs. For Starter School, there are a few pre-work assignments that cover development, design and entrepreneurship. That could be like reading a book, like Rework & Getting Real, or completing the Michael Hartl tutorial to get a head start of building a Rails application. Can you give us a quick rundown curriculum for the 3-month web development program? For Starter School, we’ll have 30 hours of class throughout the week, but that’s only a part of their weekly experience. Our students are working 50 to 60-plus hours a week on assignments & challenges they were given in class, as well as building their own web applications. The main focus in our 3-month 9-month programs is helping them build the ideas and the problems they want to solve. There’s no grades, no certificate or diploma at the end. Their sign of completion is what they’ve built, and that’s where we want to point to. It’s pretty hands-on but at the same time we’re not guiding them through every step. We’re not babysitting them, because if they want to become entrepreneurs, if they want to get jobs, they have to learn how to take that responsibility. Can you explain the partnership with Upstart that you have? Over the summer, I was working with Jeff Keltner from Upstart to create a partnership where people who got into our Starter School program (once they fit the Upstart requirements) would be able to create a profile on Upstart to raise money to come to our program. While there’s a lot more bootcamps out there now, we’re still early on in this whole ecosystem of alternative education. We’re not like a Harvard or Stanford where you can apply for private and federal financial aid. It’s really based on the max on your credit card, the loans can you get from family and friends or the money you have saved up. There aren’t a lot of options for people who don’t have as much money to do the program. Our partnership with Upstart was one way of increasing the opportunity for people who might want to do the program but then they see the sticker price. How do you help students find jobs once they’ve graduated from the 3-month program? We don’t have a job placement division and we don’t take a cut of recruitment fees or salaries or anything like that. We’re organic; we just care about helping our students and our alumni achieve what they want to achieve. Two years later, we have a connection with almost every major startup in the city. 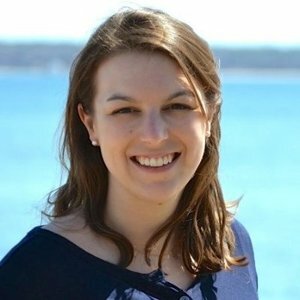 So if an alums are looking into a local startup, we can connect them with people that we know and give them advice on how to move forward. That’s worked so far in our 3-year history. Our students pay the tuition from their end and that’s the only financial transaction we make. We get the money to run our school effectively, they get the education so that they can advance their career goals. We know other schools run it differently. We don’t think that’s bad, we’re just focused on teaching pure beginners… I mean, we’ve taught as early as a 13-year old and we’ve taught someone as old as 70. We are really adamant about teaching pure beginners because that’s where Neil and I were when we started. Other boot camps out there might teach at a more intermediate level. But when you’re teaching a pure beginner, it’s unrealistic to make a promise that they’ll be getting a $100,000 professional job. So from the beginning we’ve never promised that. We’re trying to teach people how to learn effectively, then 6 to 9 months after they go through our program, that’s when they might get jobs. There’ve been probably 300 or even 400 of our alumni who now work at a tech startup or work as a developer, designer or product manager because they’ve gone through our classes. But it didn’t happen the day after they finished; it took extra time. So you taught a 13-year-old? You don’t have an age threshold at all? Our age range is usually 18 to 55. The 13-year-old was an extreme: His aunt was an inaugural student at our school, so he had been hanging around since the early days. He was home schooled and had already been teaching himself how to code! After the Venture Beat story came out about California regulation, are you at all concerned about becoming accredited as a secondary institution or is that not something that is on your radar right now? So it was kind of like a weird trap. They were asking for all this data on our alumni but we hadn’t taught anyone yet. In 2012, we wrote a report and sent them all this data and last year we became certified. We’re not accredited, like a 4-year institution, but we are certified as a private institution. It makes sense from the state perspective; suddenly all these renegade programs are coming out and charging people money – especially since we’re for-profit. There are certain requirements- we need to show that we are teaching people and there are successful outcomes and our official roster of instructors and their credentials to show that we’re legit. We’ve met with the governor a few times and he’s a big fan of what we do. So in terms of having the government sector liking what we do, we’ve partnered with pretty much every organization from the city of Chicago to the White House. Thanks to Mike and Starter League for sharing info about their school. Want to learn more about Starter League or Starter School? Check out their School Page on Course Report or their website here! The Starter League is an approved school by the Division of Private Business and Vocational Schools of the Illinois Board of Higher Education. An email with these details has been sent to Starter League. You've already applied to this scholarship with Starter League.